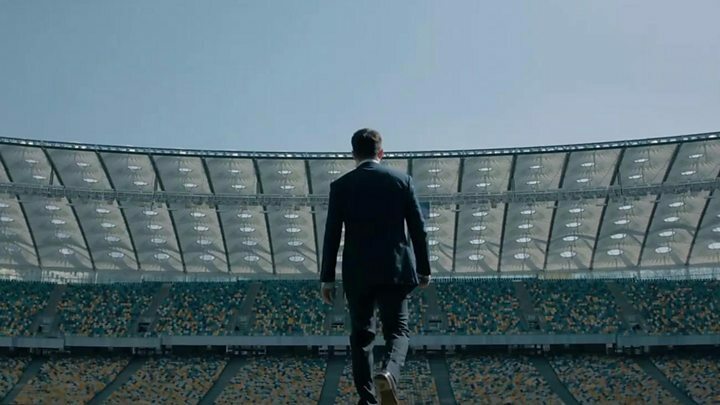 Ukrainian President Petro Poroshenko has agreed to debate rival candidate Volodymyr Zelensky in a rare stadium event. What would a comic president mean? The presidential hopeful also demanded the debate be held, in front of all interested broadcasters, at Olympiyskiy Stadium. The venue can hold up to 70,000 people. He badly miscalculated. Mr Poroshenko has nothing to lose and would dearly love to lock horns with the inexperienced Mr Zelensky. Perhaps it's the only way he might turn things around. Mr Poroshenko called the comedian's bluff. Mr Zelensky's team started to panic. They declared the medical clinic unacceptable and suggested another one. 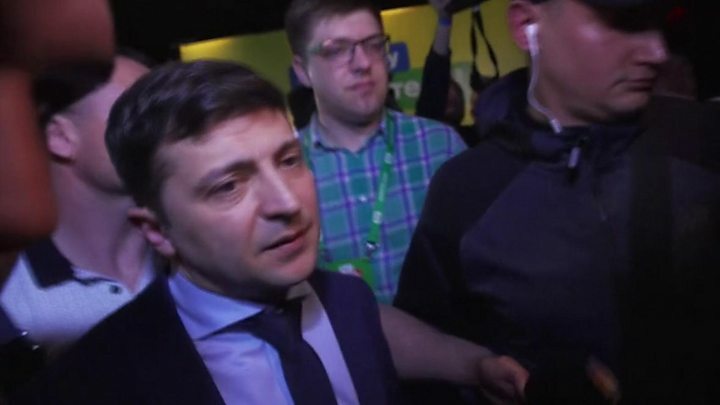 Zelensky win: What does a comic president mean for Ukraine?